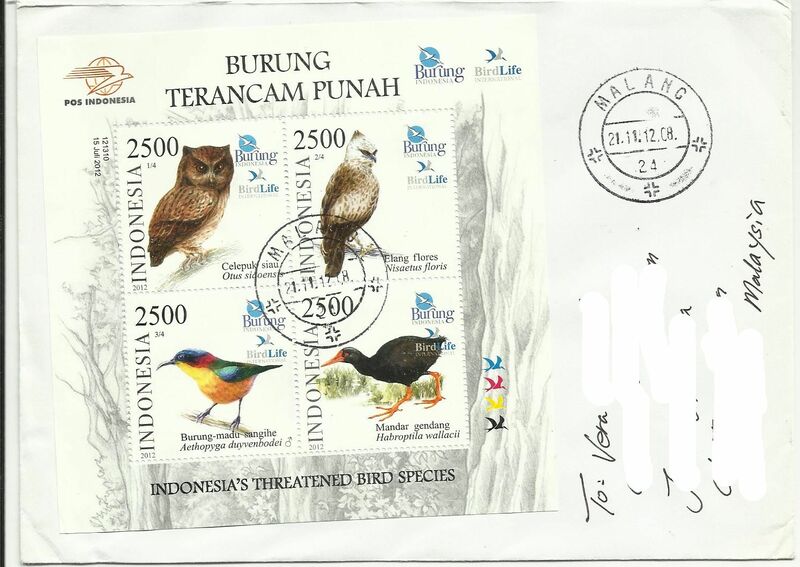 First arrival for December is a cover from Indonesia, this time with the birds on the complete 2012 Bird Life International Endangered Species m/s postmarked from Malang. 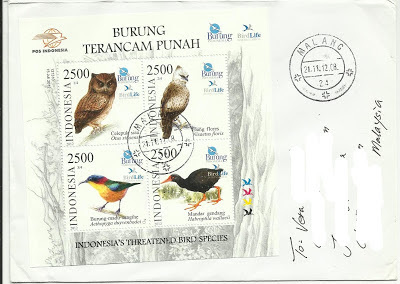 Birds are Siau Scops Owl, Flores Hawk-eagle, Elegant sunbird and the Invisible Rail. Thanks to my dear friend CJ for sending the cover.